After downsizing all during 2012, we have settled into a really nice rhythm with breeding just Cavachon puppies (with an occasional Cavalier or Bichon pure bred litter here or there). The number of puppies and litters has allowed us to spend more time with each puppy, something that has been a lot of fun for myself and the family. For many years we seemed to always have “older puppies” still around, which meant a lot of work because we wanted to keep moving forward with their training despite their age. For the first time in forever, our oldest puppy is under 12 weeks and we have only 1 puppy that is currently not spoken for. 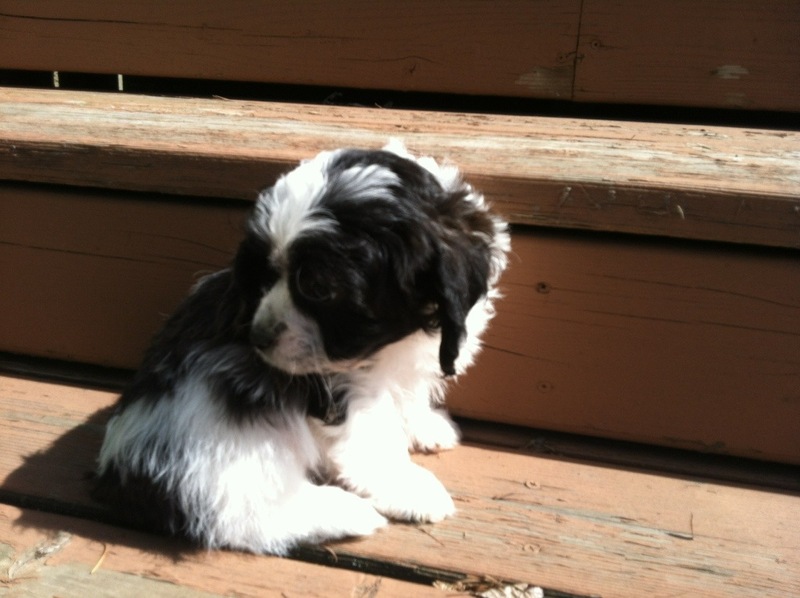 Meet Bella, the super sweet and loving and affectionate black/white female Cavachon from Chelsea and Sonny’s litter. All of her siblings have gone home and Bella is waiting for her forever home. 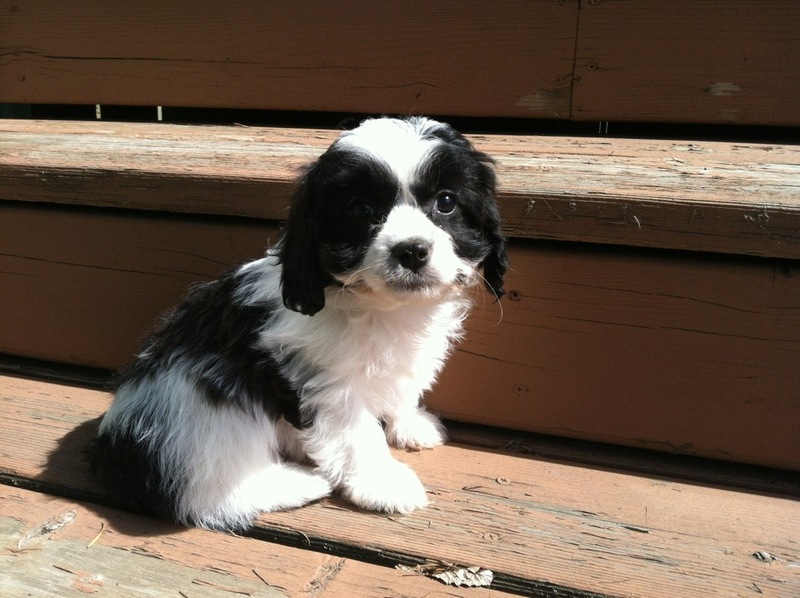 She is an incredible pup and has all the wonderful traits that make Cavachons so appealing as family pets. She is alert and engaging. She is curious about her surroundings. 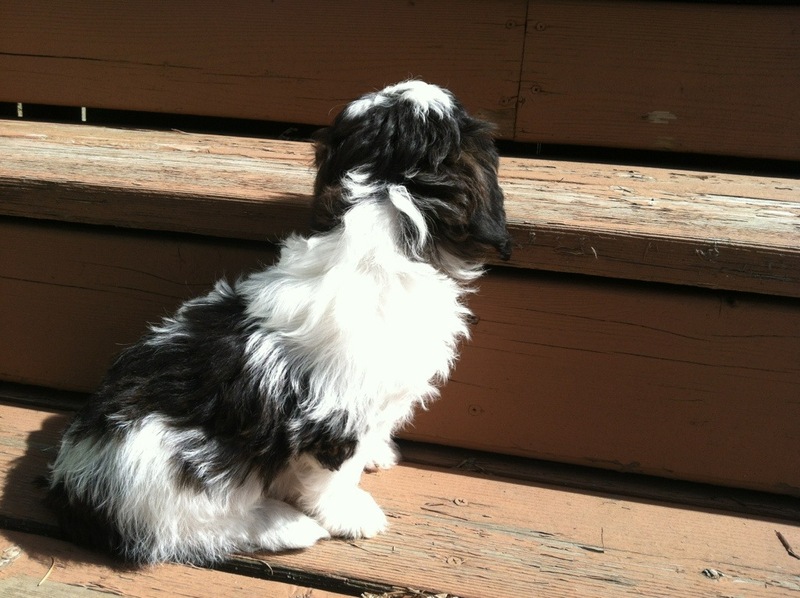 She has a balanced coat with black and white parti coloring. She has a perfectly symmetrical face! 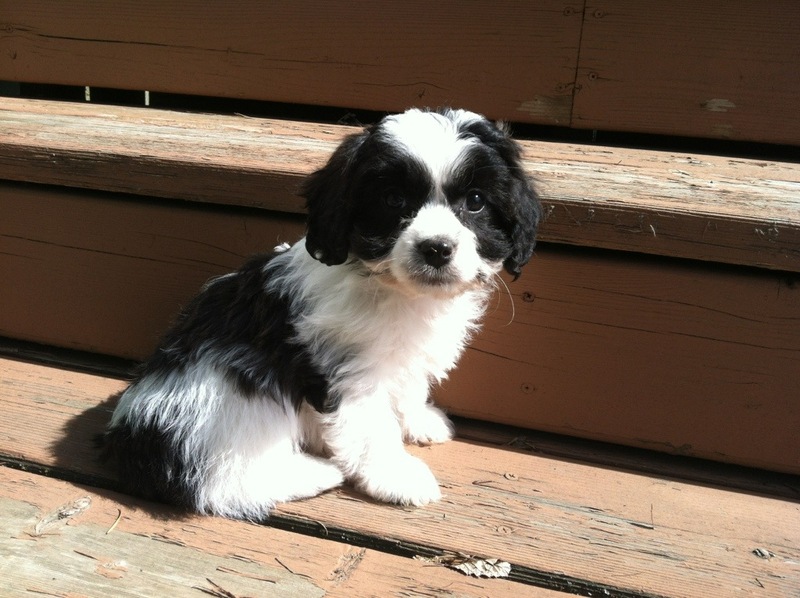 This entry was posted in Black & White, Cavachon, Sonny. Bookmark the permalink. Bella is absolutely adorable! I’m amazed with all the cuteness you get to work with. Cavachons are the cutest, sweetest, loving dogs. I can’t imagine life without Nikki.